Is Your Indoor Air Stale, Steamy or Stinky? We Can Help! When you were growing up, did you ever find yourself talking about air quality? For most people, worries about the quality of indoor or outdoor air is a relatively new source of concern. Most of us didn’t grow up worrying that the air we were breathing was slowly poisoning us, ruining our health and killing our planet. We just breathed in and out as we played, studied, worked and relaxed. Today, it is necessary to take a much more active role in this process. We need to learn how to monitor the quality of our indoor air (even though we still don’t have a great deal of control over the quality of our outdoor air). Believe it or not, one of the easiest and most trustworthy ways to monitor the quality of your indoor air supply is to use your senses. For example, if you walk inside your house and become immediately aware of odour or humidity, these are trustworthy clues to alert you that something isn’t right. Of course, then you need to figure out what to do about it, and this can be a bit more challenging. In this timely blog post, we share some of our favourite fixes for stale, steamy or stinky air! P.S. Be sure to read all the way through to the end of this post to find out how you can save 10 percent off any of our popular professional air duct cleaning packages! Stale air is probably the least straightforward indoor air quality issue to detect and troubleshoot. Stale air is essentially air that is poorly oxygenated. This happens when there is not enough ventilation and air circulation to keep your indoor air fresh. In previous years, homes were built in such a way as to permit a bit of air leakage from inside to outside and vice versa. This may not have done anyone’s energy bills any favors, but it did take care of the need for fresh air ventilation and circulation quite handily! But with the advent of modern airtight construction practices over the last few years, stale indoor air has become an especially common problem in newer homes and workplaces. Because stale air doesn’t necessarily have an odour, diagnosing this issue is most commonly achieved when you begin noticing unpleasant health symptoms. Headaches, trouble concentrating, fatigue, irritability and similar symptoms can point back to stale, poorly oxygenated indoor air. The best fix for stale indoor air is to improve ventilation and air circulation. You can accomplish some of this by just opening windows and doors on nice days and using floor fans or ceiling fans to move the fresh air around. But during times each year when Canada's weather doesn’t lend itself to this fix, the best option is an appliance called a heat recovery ventilator. The heat recovery ventilator ensures you always have a steady supply of fresh air coming inside and moves the stale air outside with no leakage between the two air sources. Happily, a heat recovery ventilator can be retrofitted to work with any existing HVAC system that is ducted. Hot tubs and saunas both offer great options for relaxing after a long day. Use of each dates back to the time of ancient civilizations. But what no one particularly enjoys is when that steamy sauna-like air starts to fill up the whole house! The presence of humidity in your indoor air can also trigger an even more concerning health issue—mould and mildew growth. Mould and mildew like nothing more than a warm, moist climate to grow, send out new spores and take over a space. Like stale air, too much humidity inside your home can be a sign that you don’t have adequate ventilation and air circulation. This is a common problem in bathrooms, kitchens and laundry room areas. Another potential cause of humid air is structural leaks in air ducts or around windows and doors. This can let humid air from outdoors sneak inside and raise the humidity levels inside your home. As with stale air, sometimes the simplest fix for humid air is the installation of a heat recovery ventilator. Heat recovery ventilators can help balance seasonal humidity fluctuations. An additional perk is that heat recovery ventilators can lower your heating and cooling costs by moving heat to where it does the most good—outside in summer and inside in winter. 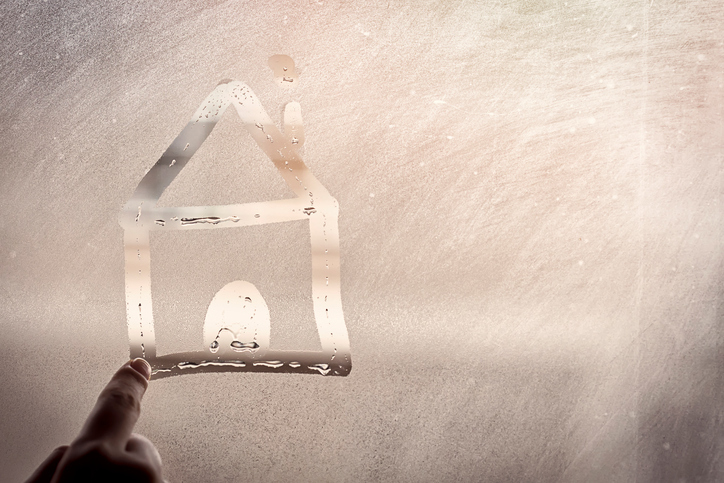 Sealing up leaks in ductwork, windows and doors can also help to control humidity. When your indoor air smells, you know it! Sometimes it just smells like what you cooked for dinner or the scented candle you burned last night. But other times the smell may not be so easy to pin down. This is especially true when the odour your nose is detecting is musty, grassy or dank—all warning signs that mould or mildew may be present. Commercial cleaning products, air fresheners, craft glues and adhesives, new carpet and furnishings, paint and primer can all emit odours. These smells can be not only unpleasant but also highly toxic. We recommend a three-step approach to correcting stinky indoor air. A professional indoor air duct cleaning can remove trapped matter inside your air ducts that is being inadvertently pushed out through your air registers and into your rooms. Installation of either a HEPA air filtration appliance or an ultraviolet air purification appliance can go one step further to eliminate 99.97 percent of indoor airborne toxins before they ever enter your air ducts. Right now, save 10 percent on our three popular air duct cleaning packages! Contact us online or give us a call at 905-544-2470 to learn more!